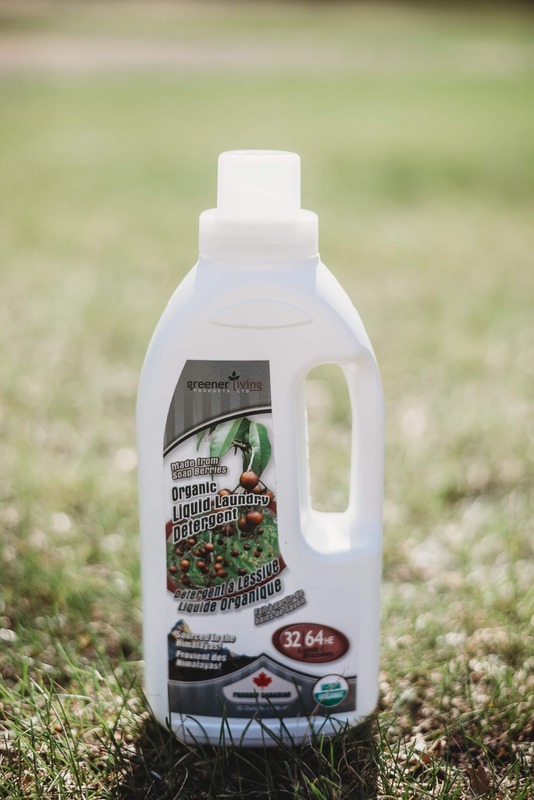 Amazed by the cleaning powers of nature, Saskatchewan based Greener Living Products decided to use the soap berries extract to create a certified organic liquid laundry detergent. It is strong enough to clean soiled work clothes and gentle enough for baby clothes and cloth diapers. This laundry detergent is safe for HE washing machines, biodegradable, and phosphate free. It is 4x concentrate, giving one small bottle the ability to wash up to 64 HE loads. This results in reduced amounts of plastic being added to the landfills. Therefore it truly is the best eco-friendly liquid detergent available. The USDA certified organic seal is very important to Greener Living Products. That is why we carefully chose all our ingredients to line up to the USDA standards. When you purchase our organic liquid laundry detergent, you can be assured that no harsh chemicals will come into contact with your skin. Many people are joining the movement towards unscented products these days. We did consider that in the development of our organic liquid laundry detergent. Because the soap berries liquid by itself has an apple cider vinegar smell, we decided to add scent. We found that the certified organic lavender essential oil combined nice with be liquid to create a pleasant fruity smell. We are not scent free, but our scents contain no chemicals, and only come from natural sources. USDA Certified Organic Soap Berries are at the core of all of our products. The berries, by themselves, do a great job of cleaning clothes. What we found, though, as we talked with people, is that many people found it inconvenient to use the soap berries. That is why we knew that we had to provide a liquid version for our clients. For those who prefer the most natural way possible, the berries are great. For the majority, who appreciate convenience, the liquid is a great alternative.